Music is a way of speaking to the soul or transmitting emotions through beats and rhythms. Kumasi is known to have most of the stylish, controversial and dope musicians and Kofi Jamar is one of the definitions of good music. 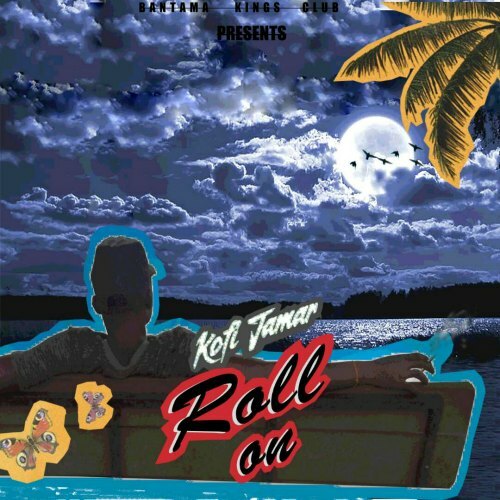 From Bantama Kings Club, after releasing a smashing street anthem “Daaria” with co-artist Obey, Kofi Jamar drops his first solo project titled “Roll On”. This song is a conscious song meant for the deep thinkers; but its very basic as well. Packed with all the music elements; pun, wordplays, punchlines, personification and metaphors, Roll On is projected on of the most enlightening songs to hit the Ghanaian Music scene. It talks about how people will look down on you if you look down on yourself. It encourages listeners to be whatever they wanna be in this life because everything you believe is possible. Song produced by the in-house producer for the BKC group; Trino Tunez, this song is one hell of a masterpiece. Take your time to digest this single by the most versatile artist in Ghana arising. Enjoy. Charlie I aint no prophet but mark my words this Guy gone take Gh Music far..Feeling old school hip pop at its best. Damn this sh$t dope.